Is it time to worry about the women's 7s program? They finished off last season on a low, a shocking 11th place in the third leg of the series in Japan. Where they lost to Ireland as well. A disappointing World Cup where they finished 7th behind Ireland, Spain and USA. Now a 4th place finish in a preseason tournament, losing to Ireland, 10-7. It's like the engine light intermittently comes on in the car, the oil level is fine but it lurches and stalls at random times. It's time to look under the hood and get the mechanic to do some diagnostics. This wasn't the full Canada side, it's a development tournament, but there were four players on the squad that see regular series action, Julia Greenshields, Pam Buisa, Breanne Nicholas, Olivia Apps. Five if you include Tausani Levale. Watching the game below some worrying signs compared to Ireland. The players don't seem as technically accurate, a lot of rote offloads without looking that went astray and turned over possession. Body position and accuracy at the breakdown, Canada rely a lot on power instead of technical execution. Speed and footwork, not a lot of pure breakaway speed or evasive footwork on display. Ireland came up fast on defence and it flustered a lot of the Canadian players, which you would expect when players are trained to a system rather than individual decision making skills. Some of the players struggled to make basic passes - the selection criteria seemed more focused on size and power than skill and speed. A power game can work as the Fijians have proven but it needs to be matched with technical execution to succeed. In the final Australia won gold and NZ silver. Canada get their Olympic qualifying off the ground in 25 days when the Glendale tournament kicks off. Canada are in the toughest pool with France who finished ahead of them last season, Ireland who have been getting the better of them lately and Fiji who are always dangerous. We'll see after that tournament whether there's any need to worry or not. 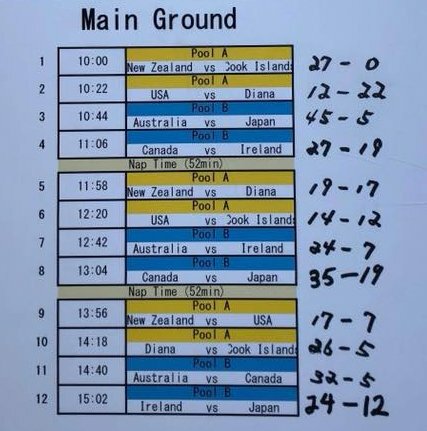 Canada went 2-1 on Day 1 losing to Australia while defeating Japan and Ireland. Australia and NZ are undefeated going into Day 2. 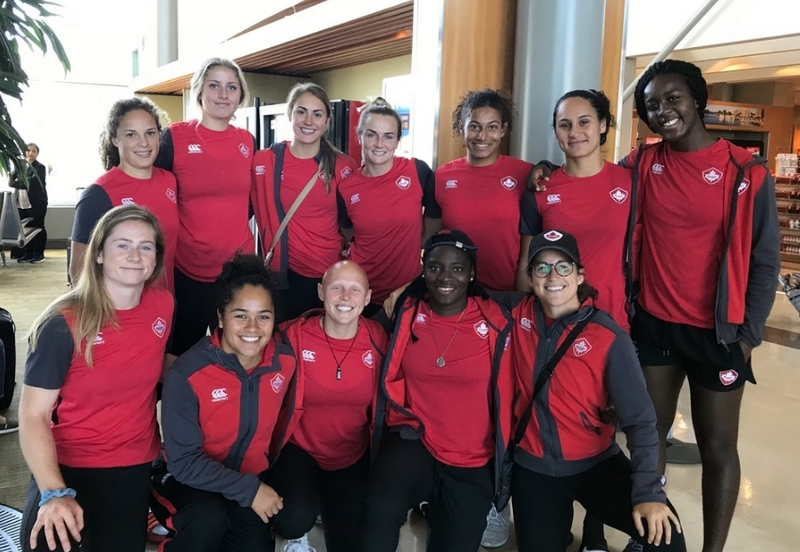 The tournament will give many centralized and up-and-coming athletes valuable international competition ahead of the HSBC World Rugby Women’s Sevens Series getting underway October 20-21, 2018 in Denver, Colorado. Canada will be coached by Morgan Williams, with assistance from former Canadian Internationals Kelly Russell and Mandy Marchak. Kick off times and potential live stream information will be made available closer to the date.